The Ohio State Marching Band was at it again this past weekend, but this time they looked to another sport for inspiration, baseball. Creating new moving picture shows each week has it's limitations as how many times can you make a car or a dinosaur? 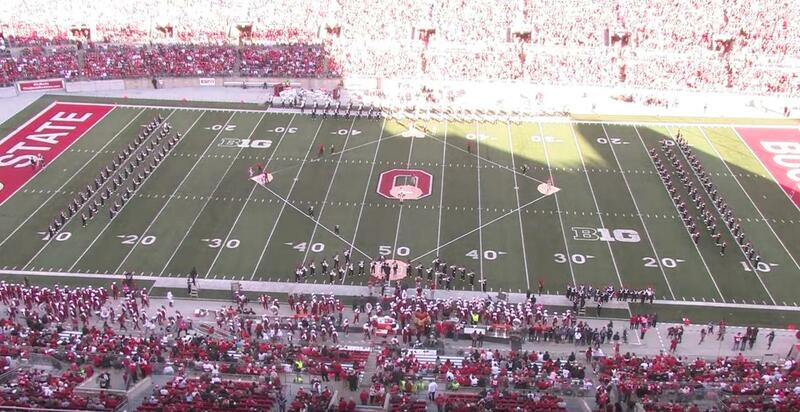 So, this week Ohio State transformed The Shoe into a baseball stadium and saluted America's pastime. The show includes some great moving pictures, a hot dog race and even a tribute to their local major league team the Cleveland Indians. Share so all fans can enjoy this great halftime show.